The concept of having a war room stemmed from the need to bring different agencies on one platform and pin accountability. Mumbai: From clearing green hurdles for the Mumbai Metro project to settling land compensation disputes, Maharashtra chief minister Devendra Fadnavis has taken several critical decisions behind the closed doors of his ‘war room’. The ‘war room’ was set up to push key infrastructure projects in the state and to ensure their completion within a set time-frame. ThePrint analysed minutes of war room meetings, obtained under the Right to Information Act, as the BJP-led Maharashtra government completed three years in power. In six of the meetings held between October 2015 and 2017, Fadnavis reviewed and fast-tracked nearly 30 infrastructure projects. “All the decisions have been taken in the interest of strategic infrastructure projects that require a push,” Kaustubh Dhavse, officer on special duty to the CM, told ThePrint. Dhavse, who also oversees the war room along with Praveen Pardeshi, principal secretary to the CM, added all these projects are money-guzzling and internal decision-making processes would take time. “The war room became a great administrative platform for the CM. It has broken the mechanism of files meandering between departments for a decision,” the official added. 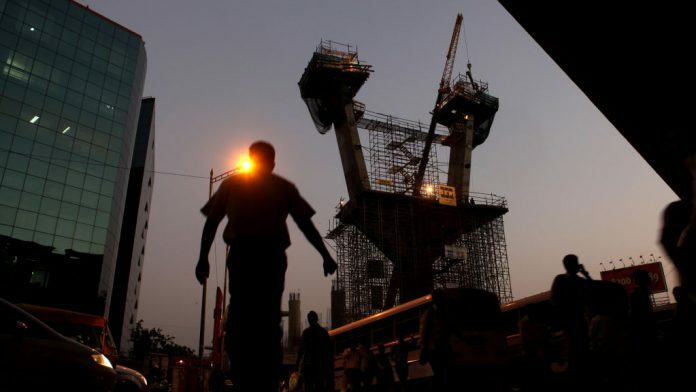 With the presence of multiple agencies delaying infrastructure projects in Mumbai, the concept of having a war room stemmed from the need to bring them all on one platform and pin accountability. The CM’s war room was set up after MumbaiFirst, a voluntary organisation of private sector individuals, and global consultancy firm McKinsey gave a detailed presentation to Fadnavis on the need to bring Mumbai’s multiple agencies on one platform in November 2014. The first war room meeting took place in May 2015. The two organisations helped the government run it and set processes in place over the first six months. The CM’s office reviewed projects initiated by the previous government, chose which ones to put on fast-track and added a few new ones to draw up a list of about 30 projects that the war room would monitor. A special mobile application was developed for the CM to keep track of these projects on the go. If a project flashes red, it means that it has some immediate hurdles in which case the CM can call or text the officer-in-charge directly. If the project shows green, it signals that its path is clear. Set up on the seventh floor of Mantralaya, the state secretariat in south Mumbai, the war room is now managed by Dhavse and Pardeshi with a team of about 10-12 young engineers and MBA graduates who are a part of the CM’s internship programme. “There was some resistance in the initial phase. However, once they started realising that their projects are getting faster approvals, 80 per cent of officers were happy,” Dhavse said. When he took over the reins, it was important for Fadnavis, who belongs to Vidarbha, to pay special attention to irrigation projects in the region. The BJP had consistently slammed the erstwhile Congress-NCP government for the sluggish pace of these projects. In a May 2017 meeting, Fadnvais directed additional chief secretary, finance, to provide for an additional Rs 2,000 crore to the water resources department either through the supplementary budget or through irrigation bonds after officials pointed out the need for it. Similarly, the CM ordered direct purchase of additional land for irrigation projects such as Gosikhurd and Bembla. The minutes of an October 2015 meeting in case of Bembla said, “Pending direct purchase of private land in Amravati to be completed forcefully by providing 3.75 times ready reckoner rate” (sic). In a February 2016 meeting, the CM said most land compensation cases should be solved out-of-court through interventions such as lok adalat. In another meeting, the CM decided to relax norms for direct purchase of land for backlog projects by mandating land record data only for the past 15 years to determine its ownership as against the usual norm of requiring land records since 1950. In the Metro project, the CM has taken some quick decisions to resolve issues pertaining to a 33.5-km Colaba-SEEPZ underground line, which has faced opposition from politicians and activists, especially over the proposed car depot in Mumbai’s green lung of Aarey. Tunneling for the project is now underway with officials optimistically chasing a 2021 deadline. Minutes of a February 2016 meeting direct the implementing agency for the project to make an application for the exclusion of the car depot area from Aarey’s eco-sensitive zone and for Metro to be a permissible activity within the Borivli National Park. In a November 2016 meeting, Fadnavis explicitly directed the Maharashtra Coastal Zone Management Authority (MCZMA) to not refer proposals of two Metro stations to the Centre and “approve it at the state level itself” as directed by the Centre in a similar matter earlier. The CM also settled a conflict between two projects — a coastal road and a sea link — to be implemented by two different agencies by accommodating both and hammering out a financial model to implement both. “Earlier, implementation was a major problem. Frankly, it is very good that the CM is taking swift decisions,” said Narinder Nayar, chairman of MumbaiFirst. “The pace at which these projects should ideally move is still very slow, but at least they are on the table now and seem to be moving,” he added. All fine and very good. Trust the projects are related to public utilities such as footpaths, potholes on the roads, rejuvenation of Water bodies, publici toilets and their maintenance, dealing with dirt and their incineration, human refuses are incinerated instead of being dumped elsewhe. Also enabling public for digitally retrieving documents such as birth and death certificates in all municipalities (they can learn from Tamil Nadu). Financial viability is key to the successful creation of high cost urban infrastructure. Using the Worli – Bandra sealink, even at peak hours, one wonders if it is paying for itself. The trans harbour link that will make the Navi Mumbai airport, itself trailing successive deadlines for completion, accessible to south Bombay is likely to cost 18,000 crores. The toll that users will pay should be affordable, even as it defrays the cost of construction. Similarly, the coastal road and the new Bombay – Nagpur highway must be viable as stand alone entities. The state is now too heavily leveraged to offer much budgetary support, nor are nationalised banks very keen to lend. Like this infra projects war room having expert engineers and MBAs, there is also need of farm room for solving basic agrarian problems like farm inputs…. Agro climatic issues emerged during crop growth period….. Marketing of farm produce etc. Farmers need support over and above party politics and manifesto. Food is only solution to apatite hunger and farmer is only person who grow food.